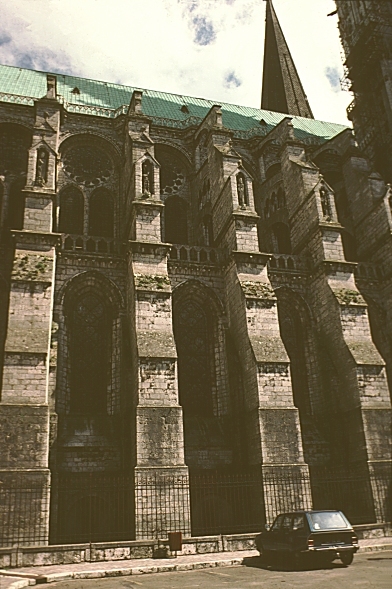 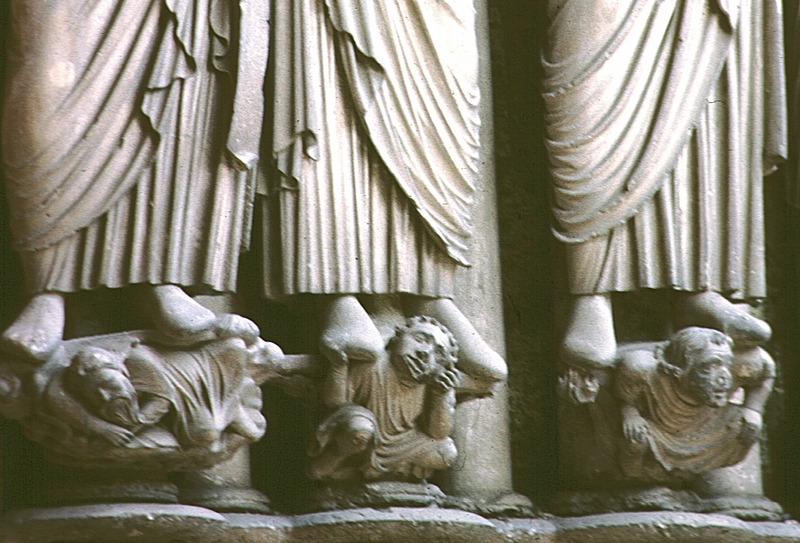 Images of North Side and North Transept, Chartres Cathedral, Chartres, France--page 1. 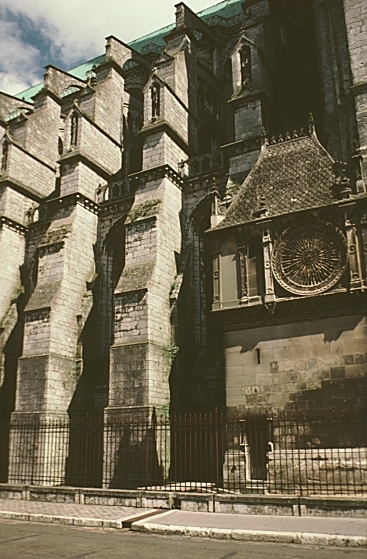 In each bay of the clerestory (45'H) there are two lancets and a rose window. 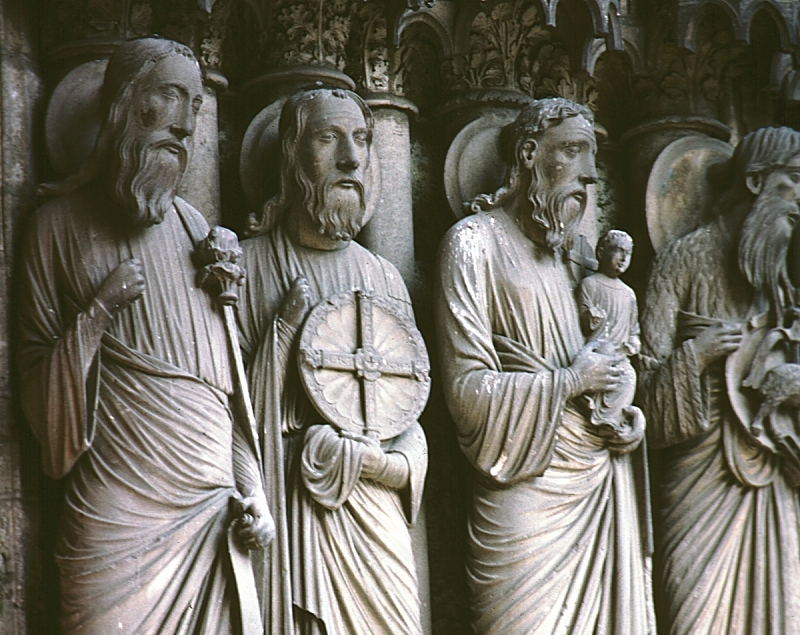 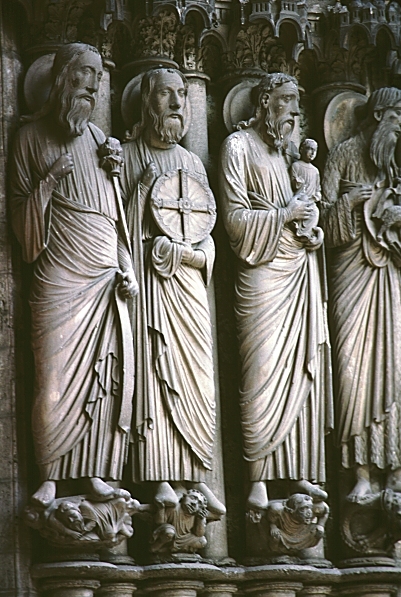 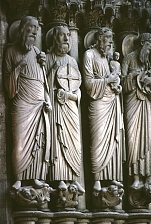 See also this theme at Notre Dame, Central Portal at Senlis, at Strasbourg, South Transept and at Notre Dame in Paris. 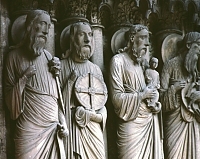 According to the Golden Legend, the Virgin died at age 60, surrounded by the Apostles who had been miraculously transported to her deathbed from all parts of the world. 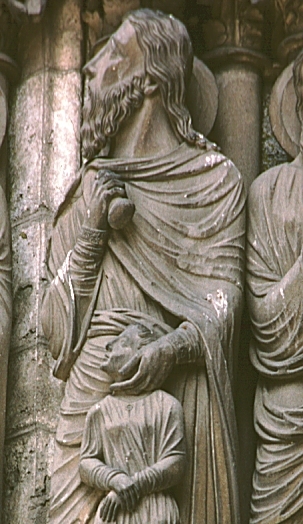 Christ too, depicted with a halo, is in the center, prepared to take her soul to Heaven. 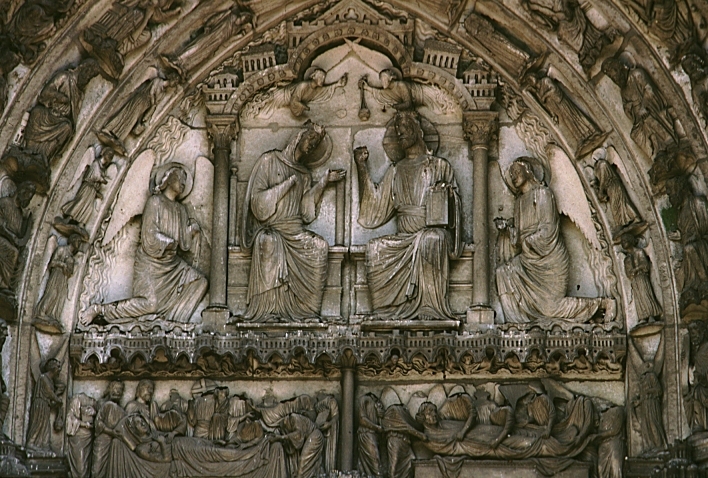 See also North Transept side portal tympana. 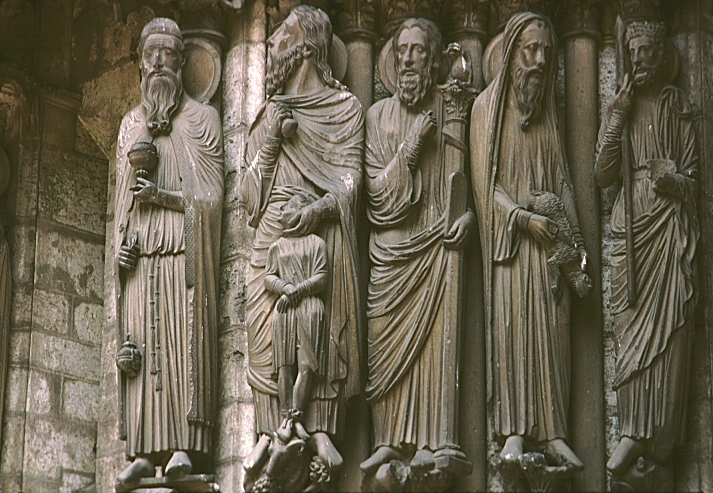 From the South Transept, see also South Transept and Central Portal and jamb statues and side tympanum. 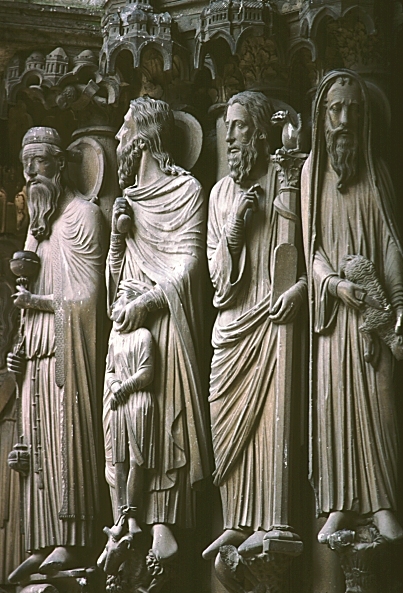 From the west facade, see also the central portal, the north portal, the south portal, the frieze of capitals, and the jambs.